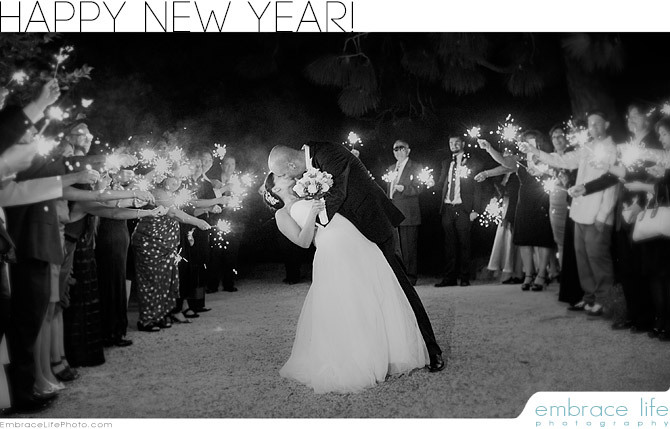 We want to wish everyone a wonderful 2013! 2012 was an incredible year for us. We met some amazing people, traveled to awesome places and kept (very) busy shooting over 35 weddings plus countless Engagement Sessions, Baby Portraits, Newlywed Sessions, Family Portraits, etc. We feel blessed to have had the opportunity to work with so many fantastic people this past year. There is nothing better than hearing how much everyone loves the photographs we have created for them. Thank you to each and everyone of our clients! We just recently wrapped up our wedding season two days ago, which means we are now working on our Best of 2012 Contest! Check back soon for the announcement and to start voting on your favorite image from the past year!